Haley Hawkins is a Provisionally Licensed Marriage and Family Therapist under the supervision of Katie Heiden-Rootes, LMFT. She received her Bachelor of Arts in Psychology from Indiana University, and her Master of Arts in Marriage and Family Therapy from Saint Louis University. Haley is a member of the American Association of Marriage and Family Therapy. Haley believes that "the quality of our relationships determines the quality of our lives"- Esther Perel. Because of this, she practices from a Family Systems perspective, understanding that our past and present relationships shape who we are today. Haley also utilizes the Gottman Method for couples conflict, and has completed Level 1 Training in Gottman Method Couples Therapy. Haley aims to help couples and families break unhealthy cycles, decrease criticism and contempt, acknowledge positive connections, and find safety and stability in relationships. 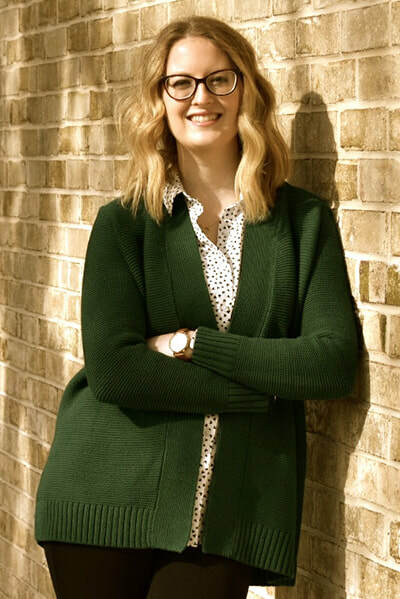 Haley specializes in couples and families, but can see individuals as well to work on specific issues such as anxiety and depression or self-esteem. Haley's mission is to provide an accepting space to explore emotions, creativity, vulnerability, and true self. In her free time, Haley enjoys yoga, being outdoors, exploring breweries, and Netflix with her dog.